This thread is for pictures of Tenebrionids, aka darkling beetles. Feel free to post pics of your ones as well! 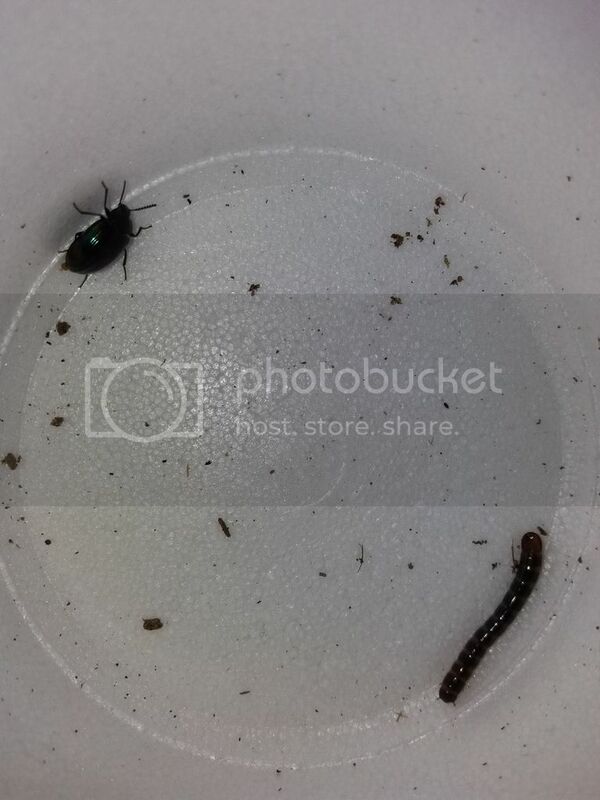 These guys are really cool, I am keeping them in a medium sized container filled with sand and coconut fiber, and they are eating dead leaves, dog food, and carrots. They are laying eggs, which are way bigger than any darkling beetles I have ever seen, so it's only a matter of time before I see any larva! They also do this coo thing where they bang their bodies up and down really fast on dead leaves or rocks and make a vibrating sound, like the "tok tokkies" darkling beetles of Africa. I assume they do it to attract mates. These guys come from coastal sand dunes in California, and need a sandy substrate. I am keeping mine in a medium sized container filled with sand and a little bit of coconut fiber. The are being fed dead leaves, dog food and veggies. Hopefully I can get these to breed, I don't know if anyone has successfully got this species to reproduce in captivity. Got a sexed pair along with my Coelus ciliatus. I hope I get some eggs from them! 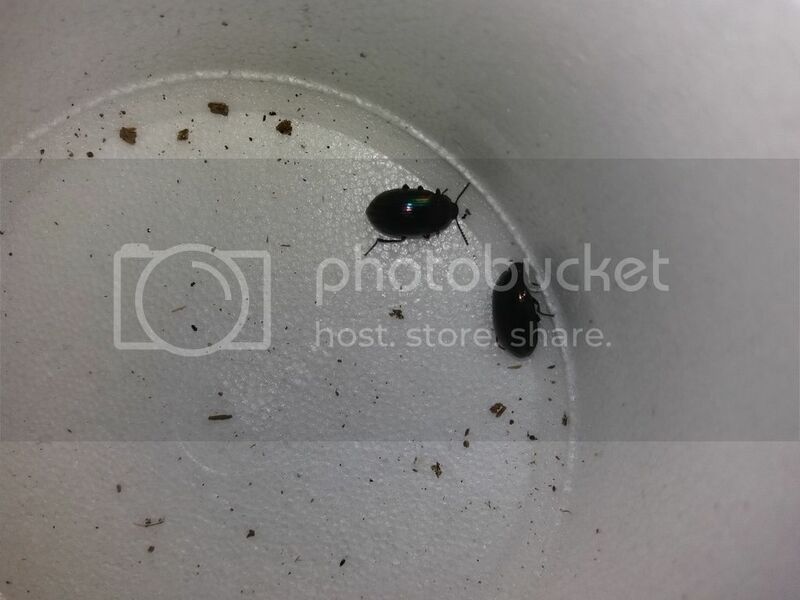 Eleodes caudiferus: (EDIT: This is a female Eleodes longipilosus, not a caudiferus. E.caudiferus is not hairy like E.longipilosus, and does not live this far north). Got these from Mastigoproctus on Arachnoboards, a really nice guy, wouldn't hesitate to do business with him again. Can't wait until these mature, this species is one of the most unique darklings out there! Also, my Coelus ciliatus have been laying eggs as well, and some of them have started to hatch! Already posted this on here I believe though. Some more darkling pictures that I took today! Yup, I've seen your (very nice) collection of darklings, any of them producing larva for you yet? It's the time of year when they usually start laying eggs. I'd have to look closely at the sand but I don't believe so. The only ones who show any interest in mating are the blue deaths and sometimes the laevis but other than them none of the others are interesting in mating. Not sure if I've got any pairs besides them either though. I haven't seen any egg laying behavior out of any of them. Nice shots of some great beetles! Don't have many tenebs right now other than A. verrucosus, but I did manage to catch a few Bolitotherus cornutus recently, so I'll try to get some pics of them up. Might have larvae in a bracket fungus too, but hard to say if they're teneb larvae or from and erotylid. Definitely try to get some pics, Bolitotherus are so majestic! Here's one of my new addition from the AZ trip, Pelecyphorus regularis from west TX! Ooh very nice, do you have enough to attempt to breed them? Would love to see what the larva look like! Great, hope they do well for you, the Asidini is one of my favorite groups of darklings, so many unique looking species in that tribe! Awesome darkling beetle! Looks strikingly similar to an ironclad beetle. I know, you definitely wouldn't think that a Pie dish beetle was coming out of it! Unfortunately the Eusattus larva have had a pretty poor survival rate, I have less larva than the amount of adults I started with. The larva that have survived seem healthy though, and some of them, (like the one pictured), have been getting quite large. Pupation is probably not too far in the future. YAY! Several weeks after separating a couple large Coelus ciliatus larva into sand filled deli cups for pupation, I found these beauties in the deli cups! These may be the first captive reared Coelus ciliatus ever reported! I'm very happy I was able to rear some to adulthood, but a little disappointed I didn't photograph them as pupa. They did not build cells at the bottom of the cups like most darkling larvae do, so I did not even know that they pupated until I found the adults today. I'll have to dig up some of the other larvae I've isolated to find a pupa. Found these under a rotten leg, they're a lot prettier in person, they have an iridescent sheen on them like an oil spill. That larva sure has a blunt tail. It's like the insect version of a rubber boa. Andy, could you possibly get a brighter picture of your beetles? Which state were the collected in? The beetle is Ceropria induta which i collected in Korea and the larva is a Plesiophthalmus species, the adults were collected in japan. Well that's why I couldn't identify them by looking though Bugguide, lol! Cool, did you collect enough to start a colony with? Yes i have plenty of the Plesiophthalmus larvae and a pupa and larva of the Ceropria induta.